Most people who read this will know that the major cancer world-wide is lung cancer (both new cases and deaths), most of which (about 90%) are due to tobacco use. Anti-smoking publicity has been effective in parts of the developed world, and it’s drawn attention to the risks of ‘second-hand’ or ‘passive’ smoking – known since the 1930s – with the result that, at last, smoking is now banned in many public places. This has contributed to the decline in the number of men dying from lung cancer in both the USA and the UK since 1980. It’s also helped to stabilise over the last 10 years the lung cancer death rate of American women although, as ever, the Brits are lagging behind and the rate for British women is still rising. An additional facet of this problem has recently begun to be recognized in the form of ‘third-hand smoke’ – meaning that residual contamination may be present long after someone has smoked in the area. Inevitably, Sod’s Law appears to apply in that the chemicals that hang around by sticking to surfaces include some of the more toxic of the 1000 or so in cigarette smoke. No non-smoker who has tried snuggling up to a smoker or merely been ushered into a hotel room previously occupied by one will need convincing of the reality of ‘third-hand smoke’. However, a recent study from the University of Rochester Medical Center in New York has thrown an alarming light on the combined effects of second- and third-hand smoking by showing that children living in apartments suffered substantially greater exposure to tobacco smoke compared with those living in detached homes, even when no one smoked in their household. The conclusion came from measurement of the blood levels of a substance called cotinine, which is produced from nicotine and gives a quantitative estimate of exposure to tobacco smoke. No study of this type is without its weaknesses – an obvious one in this case being that you can only go on what you are told about whether people smoke in their own homes. However, 5,002 children were studied, which is a reasonable number from which to make preliminary deductions, and the finding that those living in apartments had a 45% increase in cotinine over those living in detached houses is an arresting result. It is clear that in explaining these results the distinction between ‘second’ and ‘third’-hand smoke becomes blurred but one factor would appear to be tobacco smoke disseminating through multi-unit apartments. Regardless of precise mechanisms, the authors leave us with the fact that most children in the US are exposed to tobacco smoke, including a proportion of those whose parents don’t smoke, despite the fact that we know the damage it can do. Recall that it is associated not only with the long-term risk of lung cancer but with a variety of illnesses of increasing incidence, particularly asthma, and that there is no such thing as a ‘safe level’ of exposure. Wilson, K.M., Klein, J.D., Blumkin, A.K., Gottlieb, M. and Winickoff, J.P. (2011). 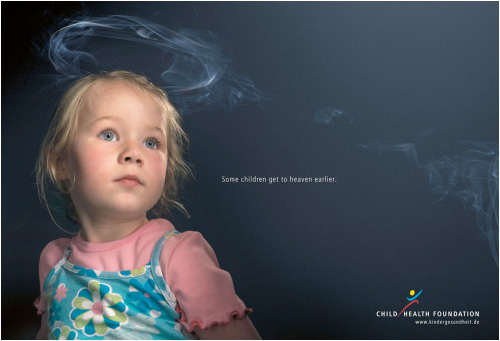 Tobacco-Smoke Exposure in Children Who Live in Multiunit Housing. Pediatrics 127, 85-92.